← Indian Women Aim for the Skies and Shatter Barriers! It goes by several names. Naga Jolokia. Naga Bhut Jolokia. Bhut Jolokia. Ghost chili, or ghost pepper (bhut=ghost and jolokia=pepper in Hindi). This naughty little pepper is unmistakable for its infamous atomic sting. For some years, the ghost pepper was certified as the hottest one in the world, registering in at over a whopping 1 million Scoville Units (or about 400 times the heat of say, Tabasco). Appropriately, the ghost pepper originated from the plains and hills of Northeast Indian states such as Nagaland and Assam, but received a global reputation and following for its heat index and unique flavor. Two New Yorkers, Satish Sehgal and Jeff Blaine, decided to partner up and grow, bottle, and sell this fire with their own twist. It all started in 2010, when Blaine and Sehgal obtained their first set of ghost pepper seeds and began cultivating pepper plants in Blaine’s Upper West Side apartment, which received some media attention. 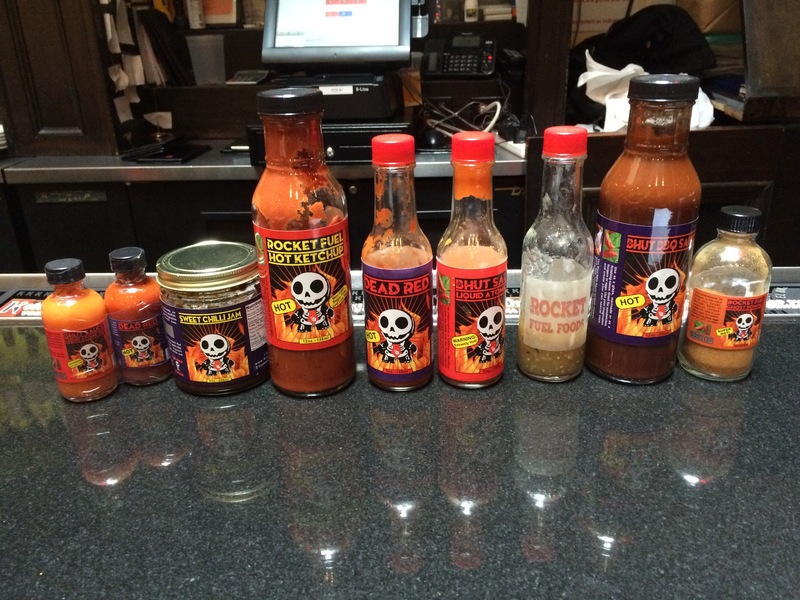 Sehgal, a successful restauranteur, had experience creating Western-style hot sauce recipes, one version of which became the base for the first original “bhut sauce” after some mutual experimenting in the kitchen. These kitchen sessions were both delicious and dangerous- both men, no strangers to intense and spicy flavors, will never forget some of the burning sensations in their mouths, on their skins, and- most interesting of all, the overnight hallucinatory effects from what can only be described as the ghost’s whisper. They were careful to use protective wear and thoroughly wash their hands, but all it takes is a tiny drop landing in the wrong place to cause a physiological (or psychosomatic) reaction. I have experienced all of these effects as somewhat of a heat-seeker myself. As the initial recipe was perfected and the micro-batches became larger, they approached restaurants and stores with their original bhut sauce. One of the adopters is Han Dynasty, an excellent Szechuan Chinese restaurant chain that originated in Philadelphia, and has branches in the East Village and Upper West Side. The Szechuan region of China is indisputably home to the spiciest cuisine in that country, with tongue-tickling special peppercorns and red-hot chilis. I met Blaine at the UWS Han Dynasty branch for a tasting of the Naga Bhut Spices hot sauce line- which has now expanded to 7 unique products. Cold beer followed, to sooth the substantial burn. The sauces are pictured here, from left to right: travel size Bhut Sauce, travel size Dead Red (available as Bhut Sauce & Dead Red 2 OZ Twin Pack), Sweet Chilli Jam, RocketFuel Hot Ketchup, 5 OZ size Dead Red, 5 OZ size Bhut Sauce, 5 OZ RocketFuel Tomatillo Salsa, Bhut BBQ Sauce, and RocketFuel Ghost Powder ( available in 2 OZ and 5 OZ Chef Size). Naga Bhut Spices use only natural ingredients in their sauces. No xanthan gum, no high fructose corn syrup, extracts, and no Blue #36 or coloring agents. They use ghost peppers, and other pepper varietals from multiple suppliers, whom they have come to know personally. They also use ingredients such as fresh lemon and lime juice, fresh garlic, and fresh onions. Natural ingredients matter. 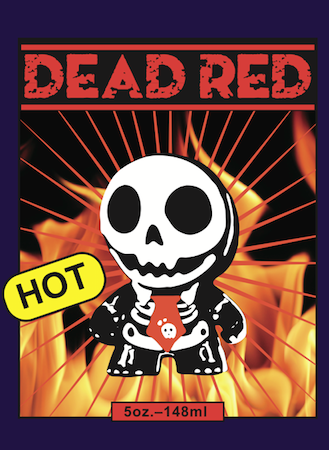 When you try something that is hand made in “micro-batches” without cheap fillers and food colorings and preserved powders such as onion powder, you connect to the God-made plant- in this case the ghost pepper- in a special way. 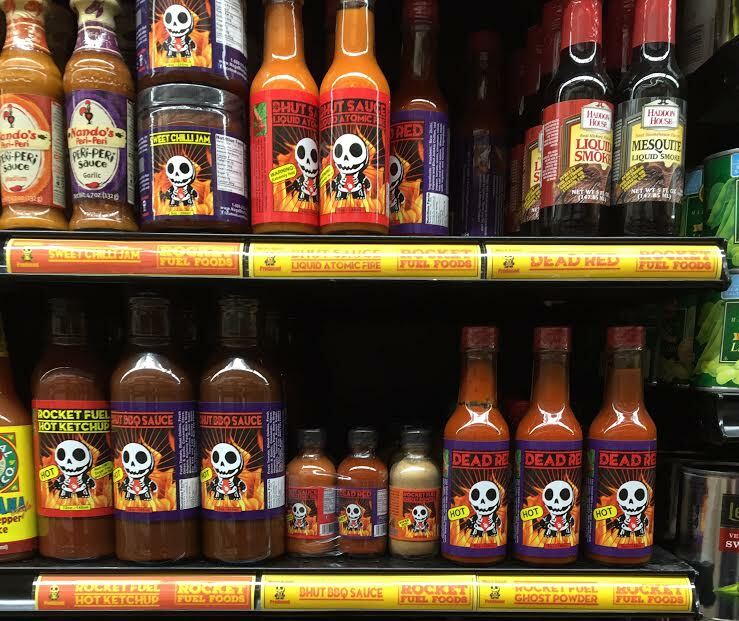 Unfortunately, there are plenty of hot sauces on the market which cut corners in this regard in order to squeeze more profit. I tasted the contents of all 7 bottles that afternoon at Han Dynasty and as expected, they all have a kick. I dipped a straw into each and sucked the product off the end to assess the flavor and also the heat. 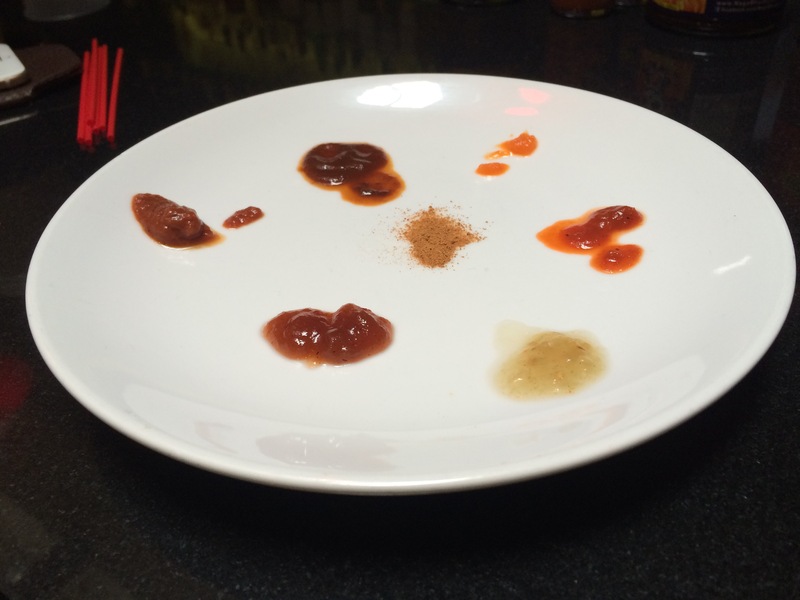 They ran the range from 1 out of 5 to 5 out of 5 on the heat scale, with the tomatillo sauce and ketchup being the least spicy, and the original bhut sauce and the powder resting on the spiciest end of the scale. Side note: to those of you who can handle heat, you know the delicious truth about chili peppers: they have a complexity that is comparable to the subtle differences between the various types of wine grapes, if you can get past the heat. You may experience floral, sweet, sour, and bitter notes, not to mention the heady buzz. I was a professional bartender who drank wine dutifully in my free time in order to get to know my products so I could impress my customers- just saying, I know what I’m talking about. I actually feel bad for people who cannot eat spicy food because their life is so much less rich. If the buzz, pain, or flavor doesn’t do it for you, then chew on this: peppers are chock-full of good stuff, including concentrated levels of Vitamin C, that are universally considered healthy for us. As for the tasting at Han Dynasty. The entire range of products was delicious. I immediately began picturing the potential utility of these sauces in my kitchen. Add a little bhut sauce to your eggs in the morning. Add a little Dead Red- a bit less spicy, a bit more tomato-ey- to your toasted ham and cheese sandwich for lunch and you’ve got a spicy-sweet topping to that otherwise pedestrian dish. Those two sauces were easily my favorites. The tomatillo sauce is like an Indian chutney that could be used as an accompaniment to the bread, or dosa, or chicken pot pie, or pot roast. Because it’s not very spicy, it would be good for a beginner just dipping their toes into the wonderful world of chilis- and not the first one I would reach for due to my appetite for spice. The bbq sauce is different from any other I’ve tasted, with a bit of sweet coming from tamarind and strong notes of spices besides just the pepper. Blaine suggested using this as a marinade or during grilling with meat, seafood, or vegetables. The ketchup is tastier than the usual, bland and ultra-processed versions you see in every grocery store and restaurant, and a clear winner. It’s also not overwhelmingly spicy. For you Indians out there, it’s almost akin to a smooth tomato chutney. In fact, I could not wait to try it on a burger or a hot dog. The sweet chili jam is the best I’ve had, and I am a big fan of chili jellies and chili jams. Finally, I tasted the powder. At this point, I was starting to sweat, and I was definitely #feelingtheburn. All it took was a little, and the ghost connected with my soul. The powder is a powerful and delicious spice, but it must be used with caution. For example, if you are making a stew, a teaspoon would probably be enough to liven up the stew for about 6 people. It’s like an extra strong chili powder with some extra flavor that only the ghost pepper can provide. Naga Bhut Spices also partners with bars and restaurants, including Han Dynasty and Alewife in Long Island City, for wing eating contests, with wings incorporating the sauces. They also do demos for curious customers at places such as WestSideMarket. You can find out about these types of events on their Facebook page. I was happy to see Naga Bhut Spices combine a mischievous Indian pepper, some Indian culinary traditions fused with American ones, a very cool mascot, and two entrepreneurial friends, one Caucasian and one Indian-American, who decided to bottle up the fire right here in New York City. Blaine and Sehgal have earned a bit of a reputation on the Upper West Side and beyond, with people of all ages and backgrounds who share a passion for spice. I was curious as to what the future holds for Naga Bhut Spices. Naga Bhut Spices hand-prepares premium products from fresh ingredients, so the price point is above mass-produced wares. While the products will continue to be made in micro-batches, Blaine and Sehgal have plans to expand production and add staff soon. They are also looking for investors to help grow the business. One of their interesting ideas on this front to help achieve these goals, which may be pertinent to readers in India or other foreign countries, is the US government’s EB-5 Immigrant Investor Program. In a nutshell, this program helps foreigners who are interested in investing in an American company, to receive a fast-track approval for a US visa and green card for themselves, their spouse and all children under the age of 21. Interested parties would invest US $800,000 (NagaBhutSpices needs US $1 million). This is an opportunity for those individuals who want to conduct business in the States or want to have the freedom and flexibility to travel freely without visas for their immediate family. In turn, the American company such as Naga Bhut Spices would be required to hire American workers locally, thus creating new jobs here. If executed well, this could be a real win-win opportunity for both sides. Interested parties can reach Blaine at jeff@rocketfuelfoods.com. I believe Americans, who for many decades had deservedly earned a reputation for eating consistently bland food, and the same few things over and over, are now more open to exotic flavors and mouth feels than ever before. A food revolution on TV and through social media are underway, helping connect Americans to foreign and fusion cuisines like never before. Korean tacos, banh mi sandwiches, all varieties of hot pepper, and Szechuan peppercorns are now within the reach of most Americans in every region of their great nation. There are now many more sauces available than just the Tabasco for those who want to spice things up. For example, the success achieved by Huy Fong’s Sriracha is nothing short of revolutionary. Another great American story. Naga Bhut Spices is on the right track with a strong product line, and we wish them luck moving forward. Posted on March 13, 2016, in Commerce, Culture and tagged Bhut guy, Bhut Sauce, Indo-US, Naga Bhut Spices, US-India. Bookmark the permalink. Leave a comment.